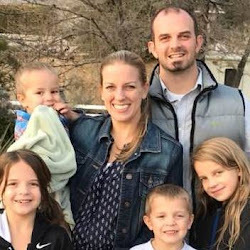 Once upon a time, I started this blog as a response to so many people asking HOW I could possibly keep our grocery bill so low, how I used coupons to pay just pennies on the dollar, and how I fed our family with so little. At the time, our finances were so tight that I kept our entire grocery and consumables budget (i.e. food as well as toilet paper, shampoo, dog food, etc.) to just $400/month. We had three small children at the time. Organic went out the window in favor of just simply feeding my family. I had mastered the use of coupons, and would often walk out with bags of groceries from Target for just a few dollars. People wanted to know how to do it, and so this blog started as a response to those questions. Fast forward four or so years, and our finances are drastically different. We've been able to go back to eating mostly organic and natural foods, which has always been a priority for me. But now I have four bigger kids, one of whom eats more than I do already at the age of 5. And it's become increasingly more and more difficult to keep our budget in check. 1. Shop in bulk. There are several parts to this one point. It is by far the most helpful tip for saving money, but there are many ways to do it. *Shop bulk bins. Depending on where you live, you may have a store like Winco that offers a bulk bin section. You fill your own bags with exactly what you need, and can truly save a tone of money. I have found the most incredible savings when doing this for spices. Winco does offer some of their bulk bins as organic, but most of them are not. Still, this is a great way for you to buy your raw ingredients for making food at home at a huge discount. Winco also offers some big-bag bulk purchases like Costco. We buy our oats in a 25 pound bag here and save a bunch of money (they do sell organic oats). *Buy full cases at places like Whole Foods and receive a case lot discount. Often times, natural foods stores offer something like a 20% discount when you buy a full case of an item. If you know you'll use all of an item before it goes bad (think shelf stable items or items that everyone will eat through quickly), spring for it all at once and get the discount. *Costco is great for bulk shopping, and they now carry a surprising assortment of organic products. We regularly purchase lettuce, spinach, rice, bell peppers, bananas, and more from Costco, all at great prices, and almost all organic. If you have a big family, bulk produce doesn't even stand a chance to go bad. So 6 heads of organic romaine lettuce for just $3-4 is a steal! *Buy items in larger sizes with lower prices per ounce. Instead of buying 4 regular sized bottle of kombucha, spring for the giant sized bottle with a lower price/ounce cost. You can always portion it out or pour it into your own jars if you need to take it somewhere besides your home. 2. Shop local. This one can actually go with the shop in bulk tip, as well, but I thought it needed it's own space because it's so awesome. We purchase our local honey from local farmers by the gallon for a huge savings. We also purchase a naturally fed and raised cow, usually in increments of 100 pounds at a time which truly saves us a lot of money. When averaged out among all the steaks, ground beef, tri tips, roasts, etc., the cost is currently only $4/pound!!! For reals! And it's good quality beef, which is super important to us. We also do this with local pigs for all our pork. Just make sure you have a freezer big enough to handle all of your meat! 3. Shop around. It may go without saying, but every store sells items for different prices. Between Whole Foods, Natural Grocers, and Trader Joe's, some items can fluctuate by as much as several dollars depending on the store. Pay attention the prices and make a mental note of which stores to shop at for which items. 4. Plan ahead. Planning ahead is a life saver when it comes to saving money on groceries. If you don't think about dinner until 5:00 at night, there's a good chance you'll be running out to the store for ingredients. All those little trips for "just one more thing" usually yield many more things, raising your budget significantly over time. If you want to be able to eat organically, keeping the unnecessary purchases at bay will help leave you with the budget to do so. Know what is on your menu for the week, and stick to it. Have a plan! My favorite way to plan ahead is to crock pot freezer cook. Essentially, you spend a chunk of time one day to prep a bunch of meals for your freezer. Each day, you just pull one out, pop it in the crock pot, and have a hot dinner at night when you come home. 5. Reuse and recycle. We made the switch to alkaline water within the past couple months. I would buy it by the gallon from the store, which would run me about $3-4/gallon, meaning I really couldn't afford to do it all the time. We ended up shopping around (tip #3) and found a great local place where we could bring our bottles in (reuse and recycle) and fill them up with alkaline water for just $1.50/gallon. By not needing to buy a new bottle every time, I'm saving a ton of money. Plus, I get to support a local family in the process. Another way to save by reusing is to bring in your own bags when you shop. Some stores offer a monetary discount (usually only 5 cents or so) for each bag you reuse. It's small, but it adds up. 6. Share with a friend. Sometimes when we need more meat but don't have enough saved up for a full pig or portion of cow, we will go in with a friend, splitting the cost and the meat. We still get the great price for purchasing in bulk from the farmer, but our out of pocket expense in the "now" is much lower. Find a friend who also wants to buy good quality meats and make the purchase together! 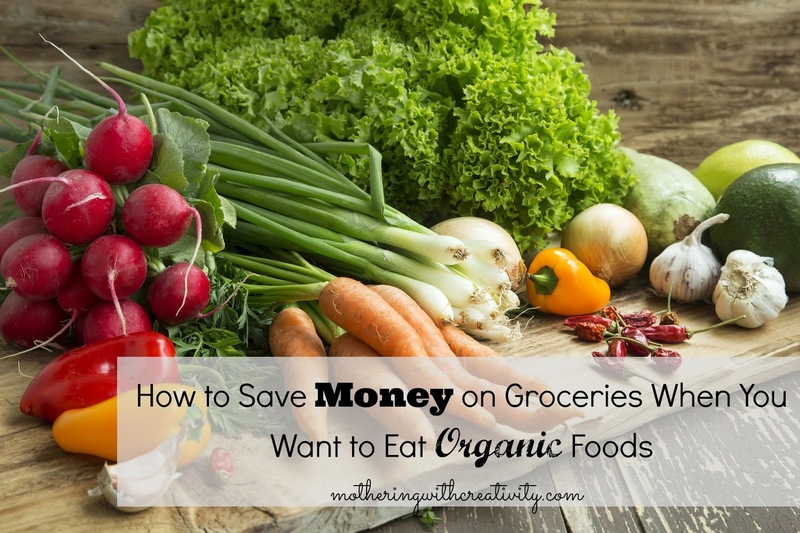 In the end, if you want to eat organic and natural foods, you will have to pay more money than conventional foods. But if it's a priority to do so, try some of these tips to help reduce your overall costs so that more of your budget is freed up for the types of foods that you want to feed your family.